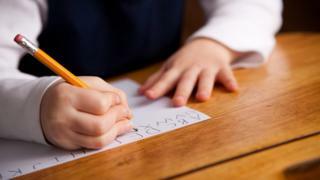 A county council's provision for children with special educational needs has been described as "fragmented" in a report from Ofsted. Some parents told inspectors that Kent "did not care about their children". Another described efforts to get their child the support they needed as a "constant minefield". The authority said it would respond to the findings, but more "significant additional funding" was needed from central government. The main findings from a joint inspection of services by Ofsted and the Care Quality Commission earlier this year included a lack of support for too many children and young people with special educational needs and disabilities (Send), with "the fragmented system creating too many opportunities for the needs of these children to be missed". Inspectors were told by parents that not all schools and settings were willing to accommodate children and young people with Send, with the majority saying they were not confident the local area would meet their child's needs. The authority's strengths included identifying youngsters with special needs, and a higher proportion going on to education, training or employment at 16 years old than seen nationally. The council, along with clinical commissioning groups, will now have to prove a statement of action to inspectors. In a joint statement, Roger Gough, cabinet member for children, young people and education, and Glenn Douglas, accountable officer for NHS Clinical Commissioning Groups across Kent, said the findings "reflect our experience, and that of most local areas, since the 2014 reforms of struggling to keep pace with an enormous increase in demand". They said they "regretted the loss of trust" by many parents and families, and would "work tirelessly" to put right the things within their control. "Equally, there is a bigger national picture of rapidly accelerating demand, fragmented and overstretched services and pressure on high needs funding that no local area can resolve on its own," they said.